The Department of Vascular Medicine and Surgery at the PAN Clinic offers medical care, advanced diagnostic methods, comprehensive therapy and follow-up care. In cooperation with the partners, the competent team under the direction of Dr. med. Stefan Schulte will develop the best customized treatment plan corresponding to the latest medical standards. Many years of experience in open and minimally invasive surgical procedures for the treatment of both veins and arteries allow the department to provide high quality medical care. 1987 – 1995 Study of Human Medicine at the University of Cologne. 1995 – 2002 Postgraduate training in Surgery and Vascular Surgery under the auspices of Prof. Dr. S. Horsch, Department of Surgery (General Surgery, Vascular Surgery and Traumatology), Hospital Porz am Rhein. 1997 License to practice medicine. 2000 Board certification in Surgery. 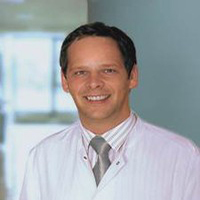 2002 – 2007 Senior Physician at the Hospital Porz at the Rhein, Department of Surgery, last positions: Leading Senior Physician and Head of the Department of Vascular Surgery. 2006 – 2011 License to conduct advanced training in Vascular Surgery. 2007 – 2011 In-patient physician of the MediaPark-Clinic at the Center for Vascular Medicine and Vascular Surgery. 1/2012 Opening of the Vascular Center Cologne Am Neumarkt at the PAN Clinic Cologne. Minimally invasive varicosurgery (laser techniques, radio wave therapy). Arterial vascular surgery of the cervical, abdominal and femoral arteries. Minimally invasive catheter techniques on the arteries (balloon dilatations, stents, stent prostheses). German Society of Surgery (DGC). German Society of Vascular Surgery (DGG). European Society for Vascular Surgery (ESVS). International Society for Vascular Surgery (ISVS). International Society of Endovascular Specialists (ISES). Provisional General Secretary of the German League for the Control of Vascular Diseases e.V. Organization of Vascular Surgery Congresses (Congress Secretary). Organization and moderation of workshops on vascular surgery. 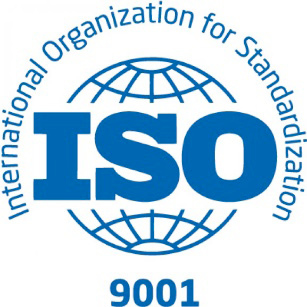 Supervision of international clinical trials. Numerous publications and scientific lectures, co-author of monographs. Collaboration in the creation of medical guidelines. Department of Vascular Medicine and Surgery.